Our family has grown to four now. We have two sons, Tim and Hugo. Therefore we have decided to sell our running MG B of 1977. 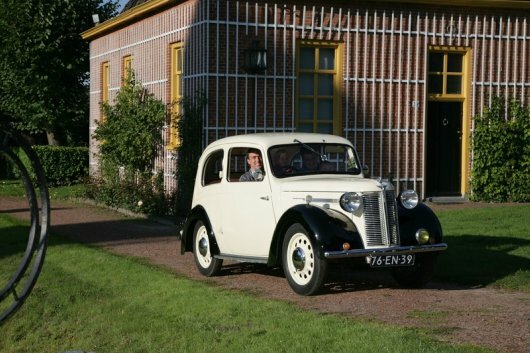 We now have bought an Austin Fourlight Saloon build in 1939. In the Austin Eight, we have found the car to be able to enjoy a classic car with our whole family in stead of only two people in our two seater MG B. 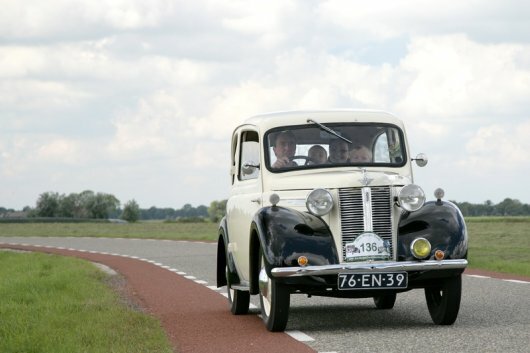 The Austin was the 3rd place winner during the "Drie Borgentocht 2010" in the category "most attractive pre war car". Below the first pictures of the 1939 Austin Fourlight Saloon made during pick up in 2010. First time at our drive way.Welcome home. 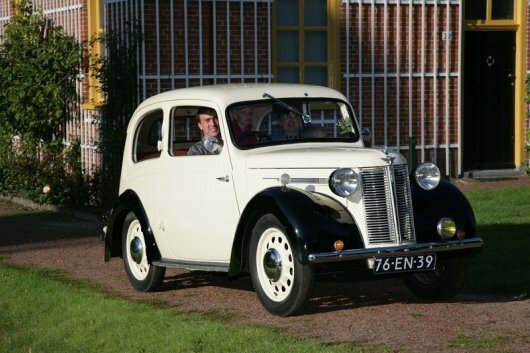 Making its debut in the spring of 1939, the Austin Eight was the replacement for the 900cc ‘Big Seven’ which had been added to the Austin Seven range in July 1937. The new model echoed the styling theme of the re-vamped 10hp and 12hp models and boasted a newly designed platform-type chassis. The engine of the ‘Big Seven’ was retained and the car was available in two and four-door saloon versions and as an open four-seater tourer. The two door saloon was called the fourlight saloon and the four door saloon was called the sixlight saloon. From 1939 - 1942 about 20.000 Austin Eights have been build. How many were build in the different versions is not known. The four-door version was re-introduced immediately after the Second World War and continued in production until late 1947. The post war production was about 30.000 cars. Which makes a total of about 50.000 Eights produced from 1939 - 1947. Also the Austin Eight was available as van, and has been delivered as military cars during WWII. . The Austin Eight was not able to meet the success of the Austin Seven, this is why much more Sevens still exist above much less Austin Eights, which makes these cars rare nowadays, especially in the two door four light saloon, van and open tourer versions.